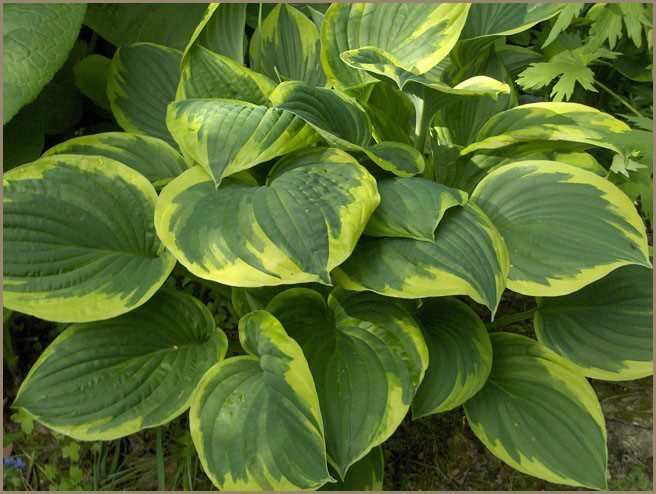 The Aureomarginata hosta has beautiful green foliage with a yellow border. It adds a bright touch to any flower bed, landscaped border, or walkway. But the color doesn’t stop there. Light lavender blooms appear from June to September. You’ll enjoy the flowers for more than a season, but you’ll enjoy the foliage for even longer. This hosta grows up to two feet tall and two feet wide. You’ll appreciate the way it fills in spaces in your landscape. And caring for these plants couldn’t be easier. Keep them watered through the hot summers and they’ll thrive.